CNN is currently watched by over 475 million people worldwide in seven different languages across a broad range of devices including TV, online and mobile. This month, CNN’s Coy Wire is embarking on a trip to the land of the rising sun to discover his family roots. Wire is a former professional football player in the NFL. 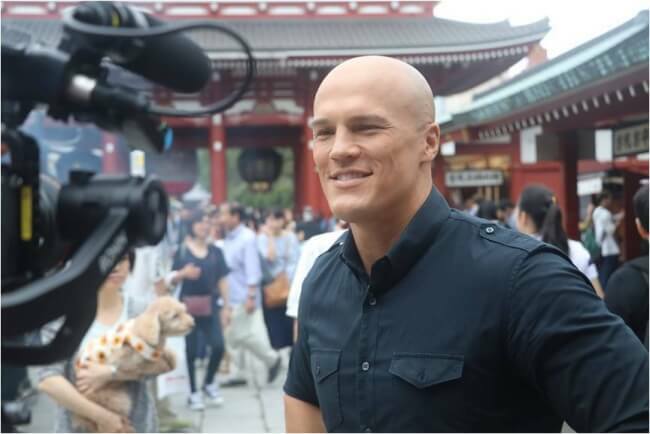 Raised in the small town of Camp Hill in Pennsylvania, the now sports anchor and correspondent took a trip to Tokyo for a deeper understanding of the city’s food, art and music scene. In the programme, he visits Mojo Customs, a famous low rider garage just a short drive from the city centre where he discovers the relation between Japanese arts and crafts and classic cars. He learns from a new generation of custom car designers about how they furnish automobiles today. Wire also gets a taste of Japan’s cuisine in a city that boasts more Michelin stars than any other country in the world. He puts aside the standard sushi and ramen and instead experiences ‘Omotenashi’ – a type of hospitality offered to customers to make their time at a restaurant feel like more than just a meal. He also meets Atsushi Horigami, the most well-known whisky connoisseur in all of Tokyo. He learns that Japan began earning international recognition for its whisky around 15 years ago when several local brands started earning awards. Wire also visits the oldest jazz club in the capital where he meets James Catchpole, a long-time resident of Tokyo who runs a website centred around Japanese jazz. Wire learns from him how the improvisational nature of jazz appeals to the people of Tokyo. The show will begin airing on Saturday October 20.